Eyeglasses live a hectic life like you do. Handling and maintaining them can seem chaotic, but it is not so. 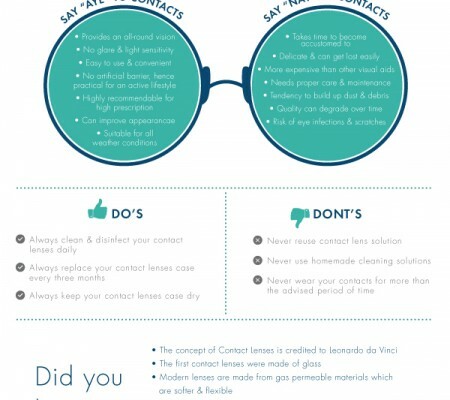 There are simple ways to give your eyeglasses the best care possible. These methods can ensure you a clearer vision and comfortable wearing experience. You spend so much time deciding which pair of eyeglasses to buy. You take time to select the best type of frames and lenses for yourself. You also invest a lot of money for the perfect pair of eyeglasses. So, why not take care of your pair of eyeglasses properly? With the smears, smudges, fingerprints and fogging, it seems like a hectic job. But keeping your eyeglasses clean is not a daunting task too. There are several cleaning solutions for eyeglasses in the market. However, there is no need to spend tons on money on these products. The best cleaning products are all available in the kitchen. All you need is a mild detergent, a soft cloth or cotton and warm water. Bring the eyeglasses under warm running water and rinse them carefully. Next, using a mild detergent, create lather by rubbing the lenses and frame softly. Brush the rims, the temple arms and nose pad of the eyeglasses frame with a soft brush. But be careful not to graze the lens. Now, bring the eyeglasses under the warm running water again. Rinse it with caution. Then, gently shake off any excess water. Dry off the lens and frame using a soft cloth or cotton. Make sure that there are no water stains left behind. It is always advisable to give one’s eyeglasses a bath at least once a week. 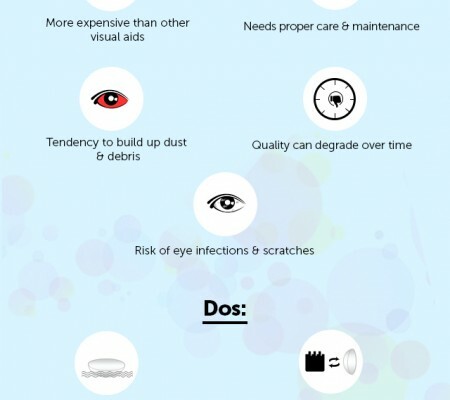 Most eyeglasses wearers are guilty of the biggest crime in cleaning their lenses. It is never sensible to wipe one’s lens with the sleeves or any part of their shirt. The dust and dirt particles on a shirt will most likely do more damage to the lenses. Moreover, if the fabric of the shirt is not soft, it will leave scratches on the lenses too. Always use a soft cloth and keep away from napkins and paper towels as well. One should also avoid exhaling on the lens before wiping it. 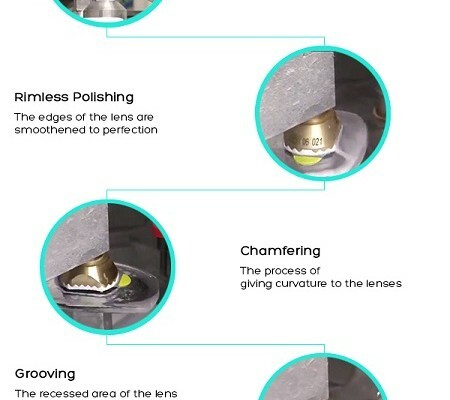 It is not the correct method to clean one’s lenses. Moreover, it is unhygienic too. One should never use bleach, ammonia, vinegar or window cleaner while cleaning lenses. The chemicals may strip or break down the coatings on the lenses. Taking care of eyeglasses can be hard at times. But do the right thing and give your eyeglasses a little bit of tender loving care. There are some simple ways to keep one’s eyeglasses clean and in shape. Use both your hands to take off the eyeglasses. Remember to store your eyeglasses in a case, when you are not wearing them. Refrain yourself from leaving them on the floor, chair or on a car dashboard. Keep your eyeglasses away from the sun as well. Of course, a pair of eyeglasses isn’t invincible. But that doesn’t mean you have to treat it clumsily. It is also appealing when you flaunt a clean pair of eyeglasses. Now since you know what to do and what to avoid, give your eyeglasses the much needed care it deserve and don your sparkling, spotless eyeglasses.